Fashion at IIFA Rocks 2013 was a real disappointment as far as fashion on the red carpet was concerned so do our stars redeem themselves at IIFA Awards 2013? Read on to find out! 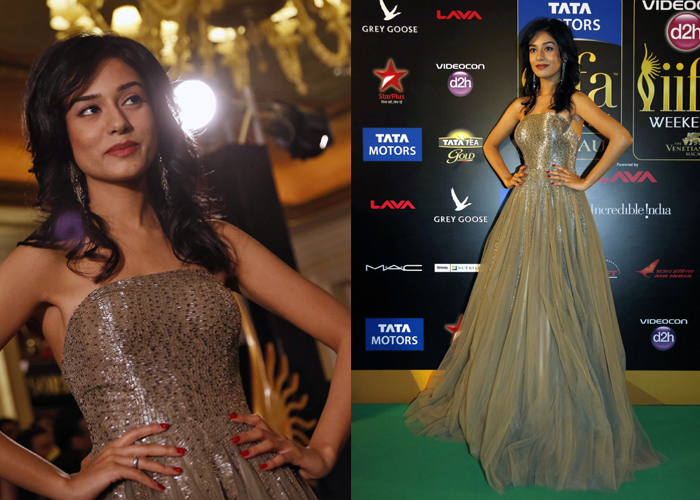 It’s high time Amrita got out and about and more importantly, it’s high time she impressed us with a look. Finally she gives us a winner in this net strapless gown. The pop of red on the nails and lips was a perfect subtle addition. Wished a bit more from the eye makeup but I’m not going to get picky considering I’m currently just overjoyed the stunning lady dressed up to her potential! Here’s hoping the style statement sticks. Verdict: Amrita Rao is HOT! 15 queries in 0.673 seconds.